Opportunities are provided to your sons throughout the year for them to gain experience and skills allowing for advancement from Tenderfoot to Eagle Scout. Participation in events/attendance is not mandatory although highly encouraged in order to fully absorb all scouting has to offer. Scouts progress through the ranks at their own pace, and can participate in camping, backpacking, canoeing, summer camp, and all other activities they choose. Experienced leadership with Sergio Movessian, Scoutmaster. He leads an active troop with 15 adult leaders 26 scouts. Scouts effectively run the troop, coordinating among themselves and managing details to make things happen. Scouts are mentored by experienced, trained, screened and qualified adult volunteers. 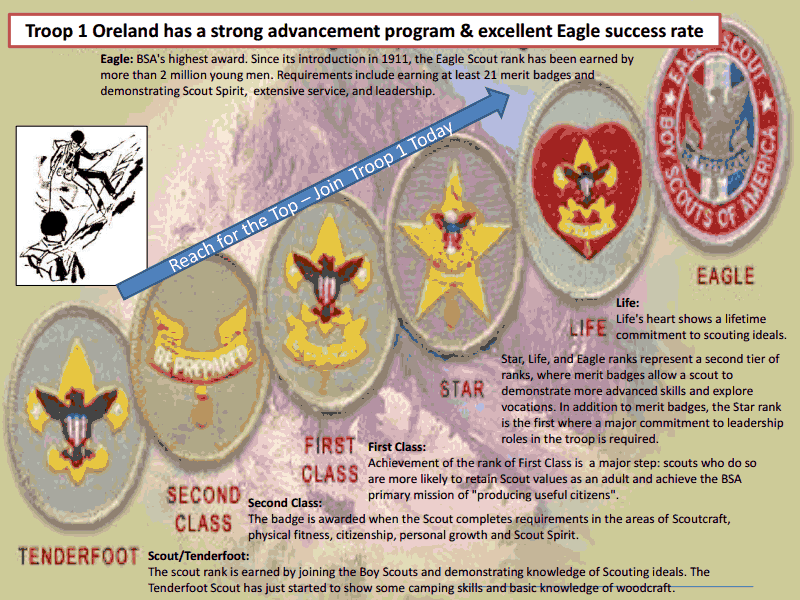 The following remarks were written by Scouts at the time they advanced to Eagle Scout. Connor has had a wonderful Scouting experience with the troop and intends to remain active. His favorite troop activities have been camping at Hawk Mountain, trying to start campfires and competing in T-Day at Summer Camp. Connor’s favorite part of Scouting has been learning all that he has from adult leaders and older Scouts and in turn, teaching younger Scouts. He has truly enjoyed being a part of such a wonderful organization. Wherever life takes him, Connor is sure to remember the principles Scouting has taught him.